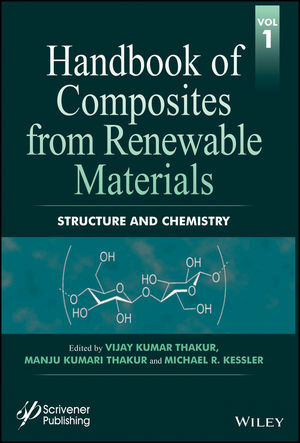 Vijay Kumar Thakur, Manju Kumari Thakur, Michael R. Kessler, eds., Handbook of Composites from Renewable Materials, Volume 1: Structure and Chemistry, Wiley-Scrivener Publishing, ISBN: 978-1-119-22362-7, 2016, 500 pages. 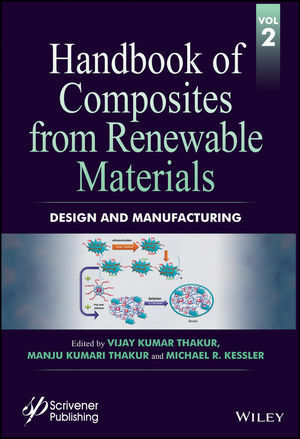 Vijay Kumar Thakur, Manju Kumari Thakur, Michael R. Kessler, eds., Handbook of Composites from Renewable Materials, Volume 2, Design and Manufacturing, Wiley-Scrivener Publishing, ISBN: 978-1-119-22365-8, 2016, 500 pages. 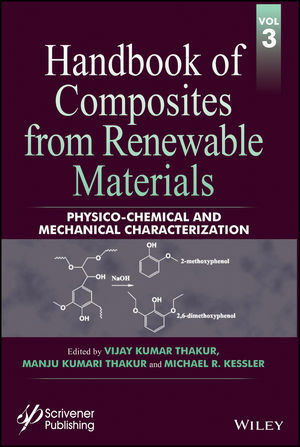 Vijay Kumar Thakur, Manju Kumari Thakur, Michael R. Kessler, eds., Handbook of Composites from Renewable Materials, Volume 3, Physico-Chemical and Mechanical Characterization, Wiley-Scrivener Publishing, ISBN: 978-1-119-22366-5, 2016, 500 pages. 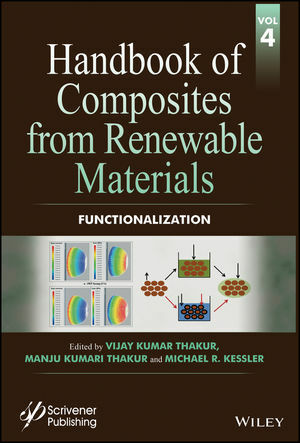 Vijay Kumar Thakur, Manju Kumari Thakur, Michael R. Kessler, eds., Handbook of Composites from Renewable Materials, Volume 4, Functionalization, Wiley-Scrivener Publishing, ISBN: 978-1-119-22367-2, 2016, 500 pages. 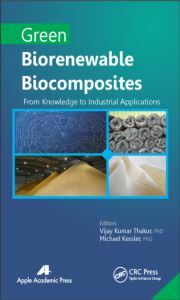 Vijay Kumar Thakur, Manju Kumari Thakur, Michael R. Kessler, eds., Handbook of Composites from Renewable Materials, Volume 5, Biodegradable Materials, Wiley-Scrivener Publishing, ISBN: 978-1-119-22379-5, 2016, 500 pages. 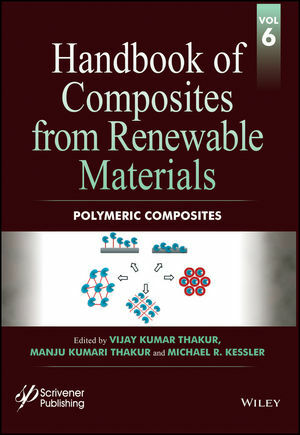 Vijay Kumar Thakur, Manju Kumari Thakur, Michael R. Kessler, eds., Handbook of Composites from Renewable Materials, Volume 6, Polymeric Composites, Wiley-Scrivener Publishing, ISBN: 978-1-119-22380-1, 2016, 500 pages. 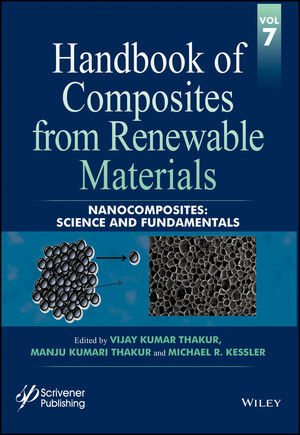 Vijay Kumar Thakur, Manju Kumari Thakur, Michael R. Kessler, eds., Handbook of Composites from Renewable Materials, Volume 7, Nanocomposites: Science and Fundamentals, Wiley-Scrivener Publishing, ISBN: 978-1-119-22381-8, 2016, 500 pages. 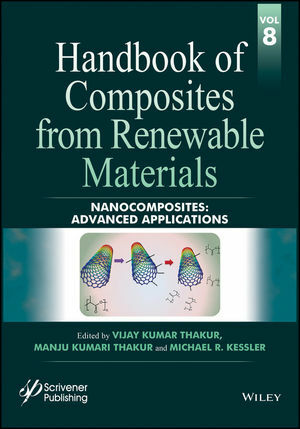 Vijay Kumar Thakur, Manju Kumari Thakur, Michael R. Kessler, eds., Handbook of Composites from Renewable Materials, Volume 8, Nanocomposites: Advanced Applications, Wiley-Scrivener Publishing, ISBN: 978-1-119-22383-2, 2016, 500 pages. 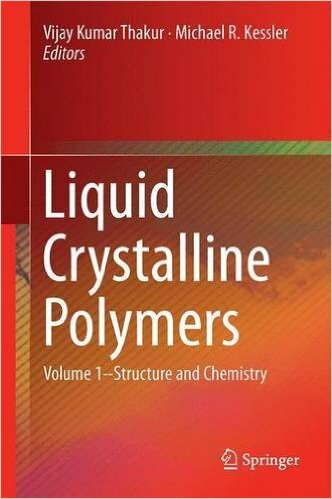 Vijay Kumar Thankur and Michael R. Kessler, eds., Liquid Crystalline Polymers: Volume 1–Structure and Chemistry, Springer, ISBN 978-3-31922893-8, (doi: 10.1007/978-3-319-22894-5), 2016, 626 pages. Vijay Kumar Thankur and Michael R. Kessler, eds., Liquid Crystalline Polymers: Volume 2–Processing and Applications, Springer, ISBN 978-3-319-20269-3, (doi: 10.1007/978-3-319-20270-9), 2015, 535 pages. 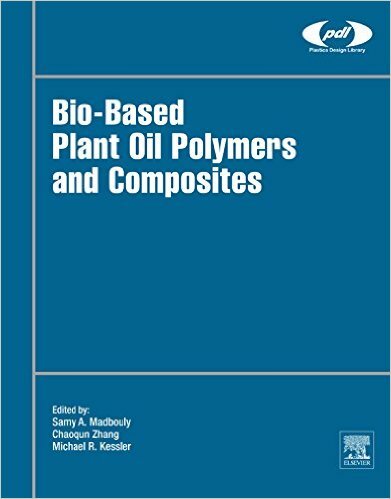 Samy Madbouly, Chaoqun Zhang, Michael R. Kessler, eds., Bio-Based Plant Oil Polymers and Composites, Elsevier, ISBN 978-0-323-35833-0, 2015, 230 pages. 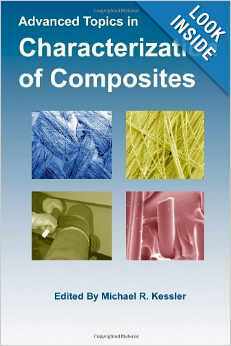 Kessler, M. R., ed., Advanced Topics in Characterization of Composites, Trafford Publishing, Victoria, BC, Canada, ISBN 1-4120-3639-9, 2004. 11. Y. Li, M. R. Kessler: “Liquid crystalline epoxy resins” in Liquid Crystalline Polymers: Volume 1–Structure and Chemistry, V. Kumar, M. R. Kessler, eds., Springer, 2016, 1-17 (ISBN 978-3-31922893-8) (doi: 10.1007/978-3-319-22894-5_1). 10. T. F. Garrison, M. R. Kessler: “Plant oil-based polyurethanes” in Bio-Based Plant Oil Polymers and Composites, S. Madbouly, C. Zhang, M. R. Kessler, eds., Elsevier, 2015, 37-54 (ISBN: 978-0-323-35833-0) (doi: 10.1016/B978-0-323-35833-0.00003-7). 9. T. F. Garrison, M. R. Kessler: “Plant oil-based polyurethanes” in Bio-Based Plant Oil Polymers and Composites, S. Madbouly, C. Zhang, M. R. Kessler, eds., Elsevier, 2016, 37-54 (doi: 10.1016/B978-0-323-35833-0.00003-7). 8. 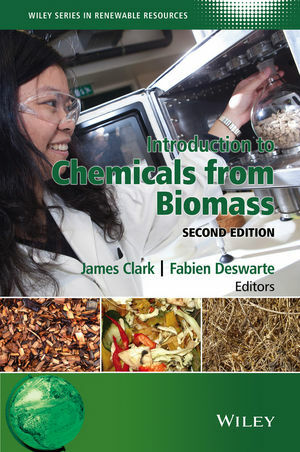 J. Bergman, M. R. Kessler: “Monomers and Resulting Polymers from Biomass” in Introduction to Chemicals from Biomass, 2nd Edition, James H. Clark and Fabien Deswarte, eds., John Wiley and Sons, Ltd. 2015, 157-204. (ISBN: 978-1-118-71448-5). 7. 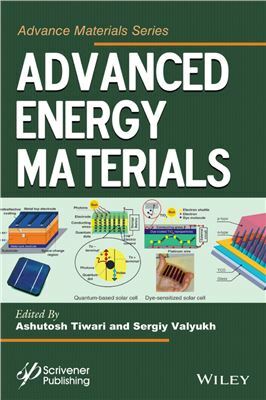 V. Kumar Thakur, M. R. Kessler: “Polymer Nanocomposites: New Advanced Dielectric Materials for Energy Storage Applications” in Advanced Energy Materials, Ashutosh Tiwari and Sergiy Valyukh, eds., Wiley-Scrivener Publishing, 2014, 207-258 (ISBN: 978-1118686294) (doi: 10.1002/9781118904923.ch5). 6. 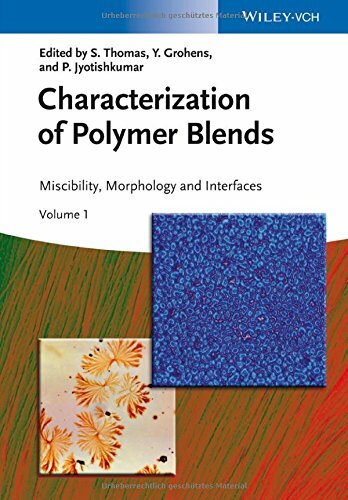 S. A. Madbouly, M. R. Kessler: “Characterization of Polymer Blends by Dielectric Spectroscopy and Thermally Simulated Current” in Characterization of Polymer Blends: Miscibility, Morphology and Interfaces, Sabu Thomas, Yves Grohens, P. Jyotishkumar, eds., John Wiley & Sons, Hoboken, NJ, 2014. 849-876 (ISBN: 978-3527331536) (doi: 10.1002/9783527645602.ch26). 5. 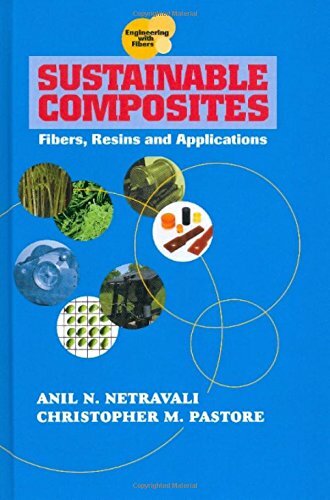 R. L. Quirino, M. R. Kessler, “Vegetable Oil-based Resins and Composites” in Sustainable Composites: Fibers, Resins and Applications, Anil Netravali and Chris Pastore, eds., DEStech Publications, Lancaster, PA, 2014. 51-86 (ISBN: 978-1605951119). 4. 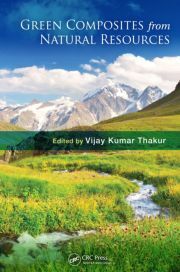 V. Kumar Thakur, M. Thunga, M. R. Kessler: “Vegetable Oils for Green Composites” in Green Composites from Natural Resources, Vijay Kumar Thakur, ed., CRC Press, 2013. 355-389 (ISBN: 978-1466570696) (doi: 10.1201/b16076-17). 3. 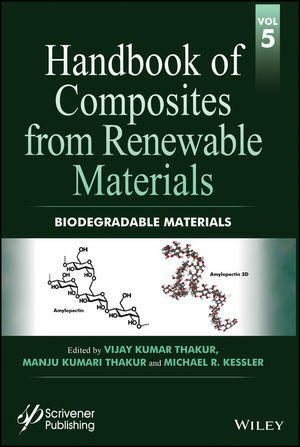 V. Kumar Thakur, M. Kumari Thakur, R. Kumar Gupta, R. Prasanth, M. R. Kessler: “Green Composites – An Introduction” in Green Composites from Natural Resources, Vijay Kumar Thakur, ed., CRC Press, 2013. 1-10 (ISBN: 978-1466570696) (doi: 10.1201/b16076-2). 2. 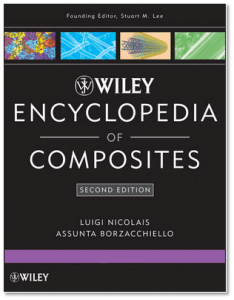 M. R. Kessler, “Cyanate Ester Resins” in Wiley Encyclopedia of Composites, 2nd Edition, Luigi Nicolais and Assunta Borzacchiello, eds., John Wiley and Sons, Hoboken, NJ, 2012. 658-672 (ISBN: 978-1118097298) (doi: 10.1002/9781118097298.weoc062). 1. 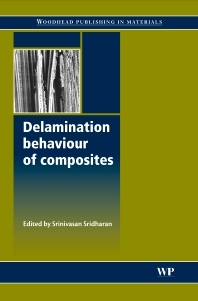 M. R. Kessler, “Self-healing Composites” in Delamination Behaviour of Composites, Srinivasan Sridharan, ed., Woodhead Publishing, Cambridge, 2008. 650-673 (ISBN: 978-1845692445) (doi: 10.1533/9781845694821.5.650).